Our warehouse find is your golden opportunity! 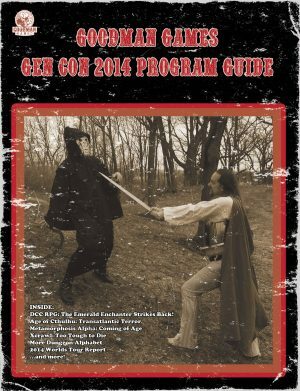 We just found a whole crate of the long OOP 2013 Goodman Games Gen Con Program Guides, so if you missed getting this gem from the dawn of DCC RPG years ago, get yours now. 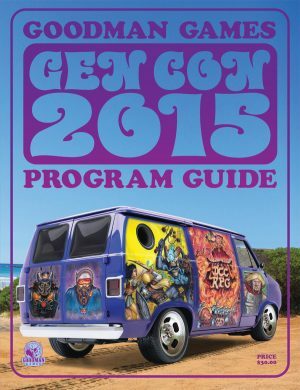 These print copies won’t last long! Bios of the Band. 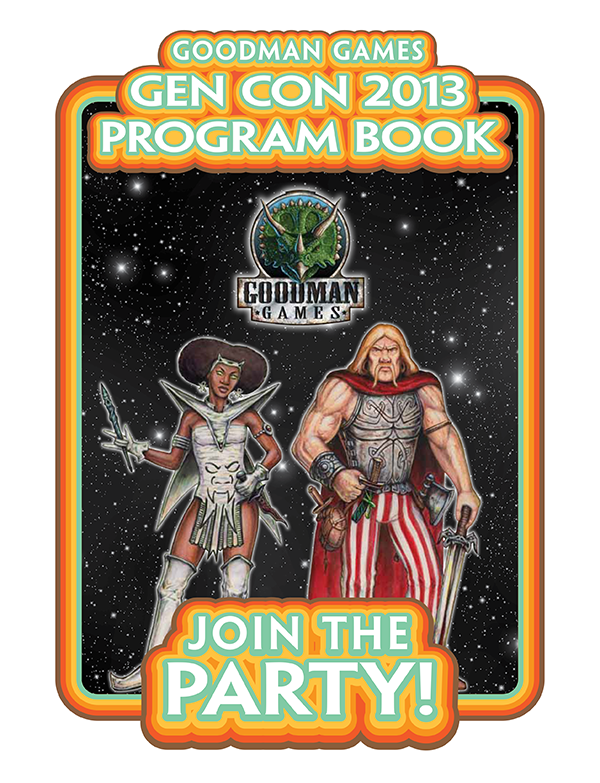 Learn about the Goodman Games crew! Autograph page. How many can you get? The Band. What secrets do Hugh and Farrah know? 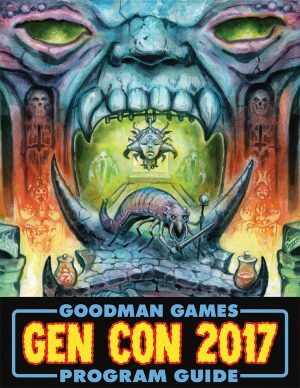 What’s next for DCC RPG? Sneak previews! What’s next for Age of Cthulhu? More previews! What’s next for Systems Neutral? Monster Alphabet! Hell yeah! World Tour Poster. Rock on! What’s Next for Xcrawl? Maximum Xcrawl! Maximum Xcrawl Preview. The first look! 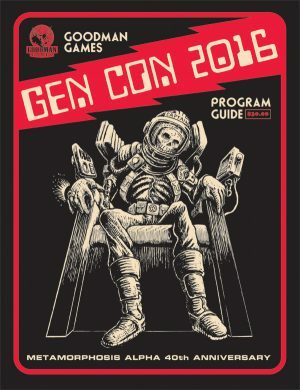 Gen Con event schedule and exclusives. How many games did you get into? World Tour pictures. From the many great games we played this year!